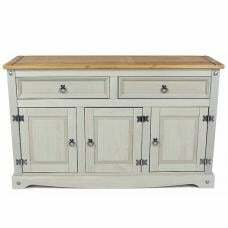 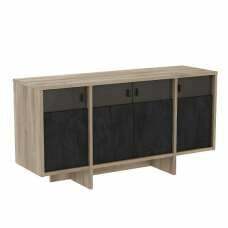 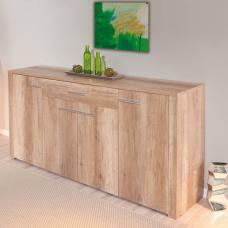 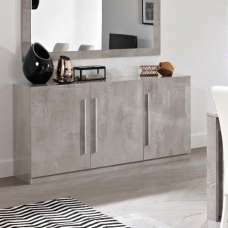 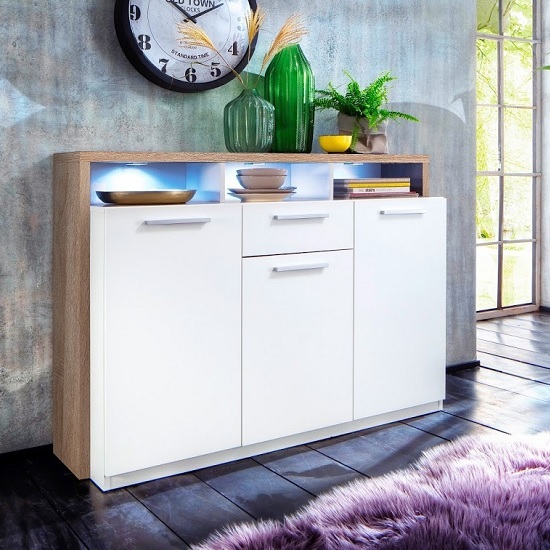 Event Wooden Sideboard In Rough Sawn Oak And White With 3 Doors And 1 Drawer, is a stylish sideboard offering great storage that will be a lovely centrepiece for any living space. 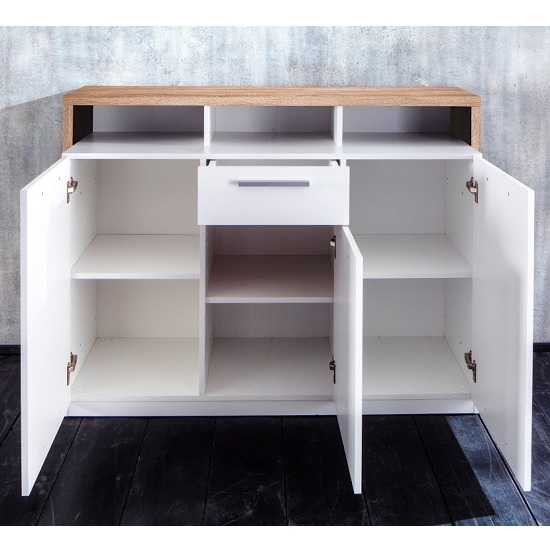 Finished in Melamine white and Sägerau oak. 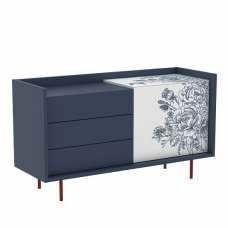 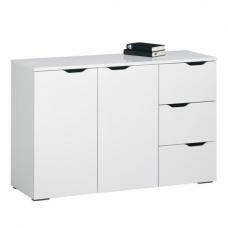 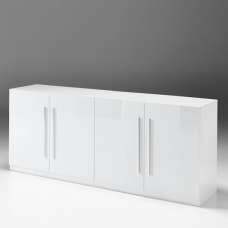 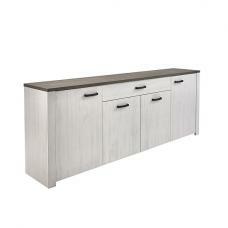 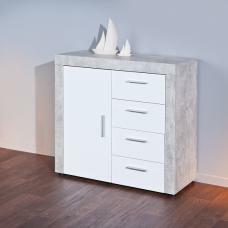 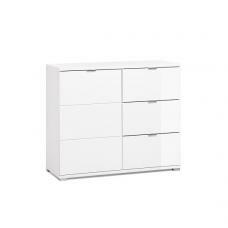 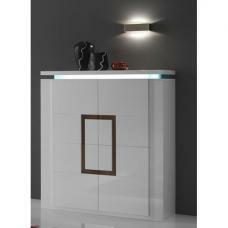 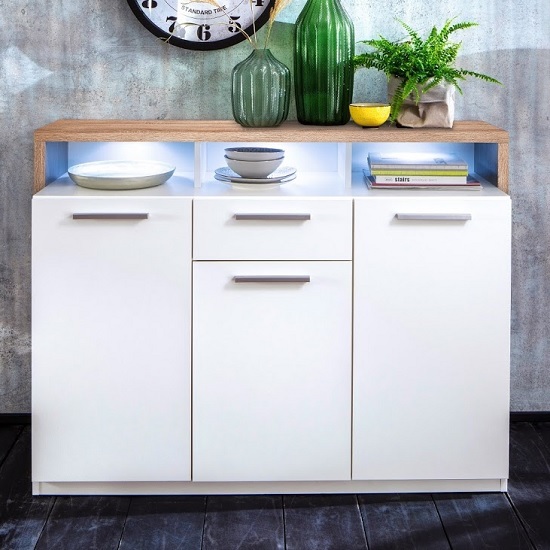 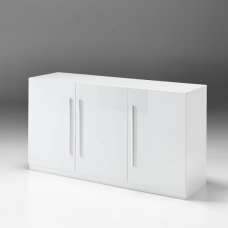 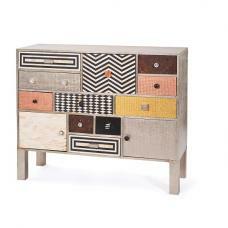 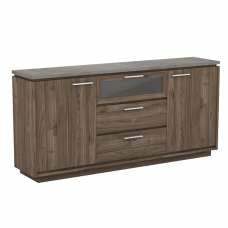 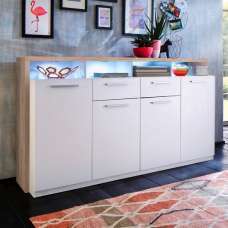 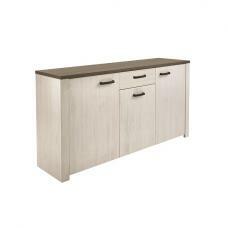 It features 3 Doors, 1 Drawer and 3 Open Compartments for handy storage.